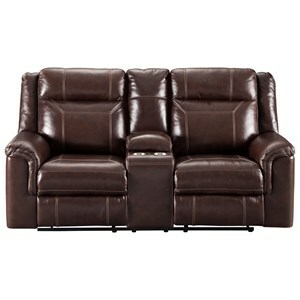 Relax after a long day and put your feet up with the easy to use recline mechanism when you add this casual love seat to your home. Hidden storage compartments in the arms and center console makes it easy to keep remotes and batteries within easy reach. 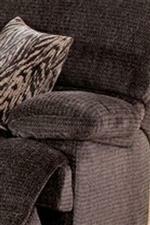 Complete with two throw pillows and cup holders, this love seat is exactly what you have been looking for. 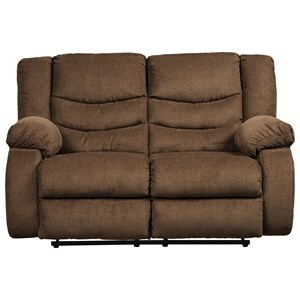 The Idaho Casual Reclining Console Loveseat with Pillow Top Arms by New Classic at Beck's Furniture in the Sacramento, Rancho Cordova, Roseville, California area. Product availability may vary. Contact us for the most current availability on this product. 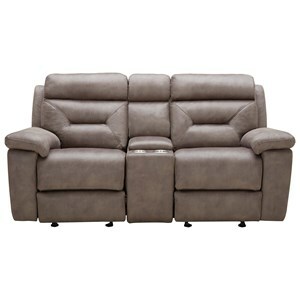 Casually designed to look good in any home, this handsome Idaho collection is exactly what you have been looking for to hep you relax and unwind in front of the TV after a long day at work. Each piece has convenient arm storage so you can keep remotes and batteries neatly away and in reach. A few other pieces have cup holders and even more hidden storage compartments. 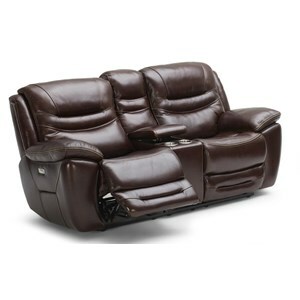 Plush pillow top arms and split seat and seat backs combine with your choice of a power, or handle recline mechanism to create a living room that is bound to be your favorite room in your home. The Idaho collection is a great option if you are looking for Casual furniture in the Sacramento, Rancho Cordova, Roseville, California area. 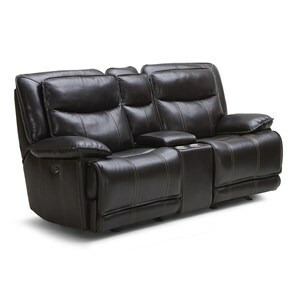 Browse other items in the Idaho collection from Beck's Furniture in the Sacramento, Rancho Cordova, Roseville, California area.